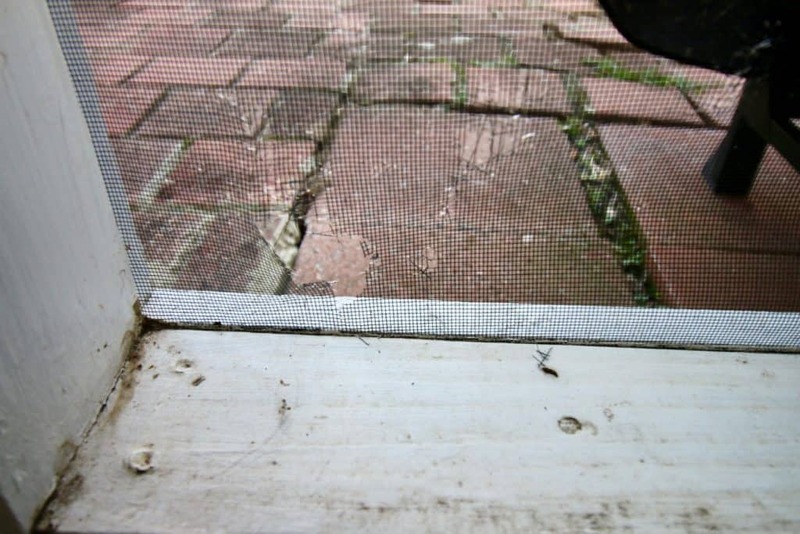 There are a lot of reasons you might have holes in your screened porch or window screens. 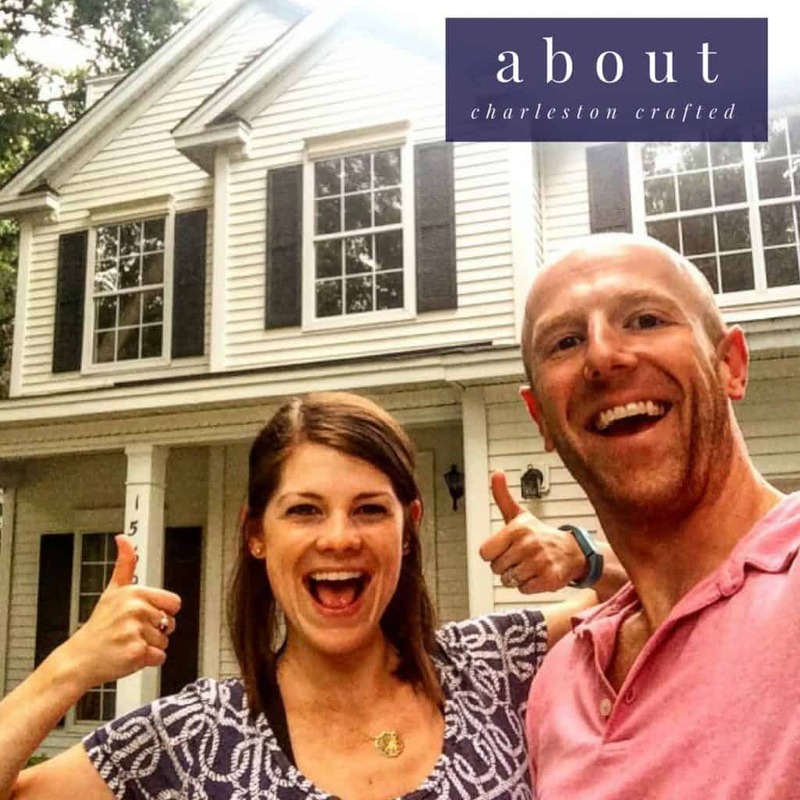 The important thing is knowing how to fix them. 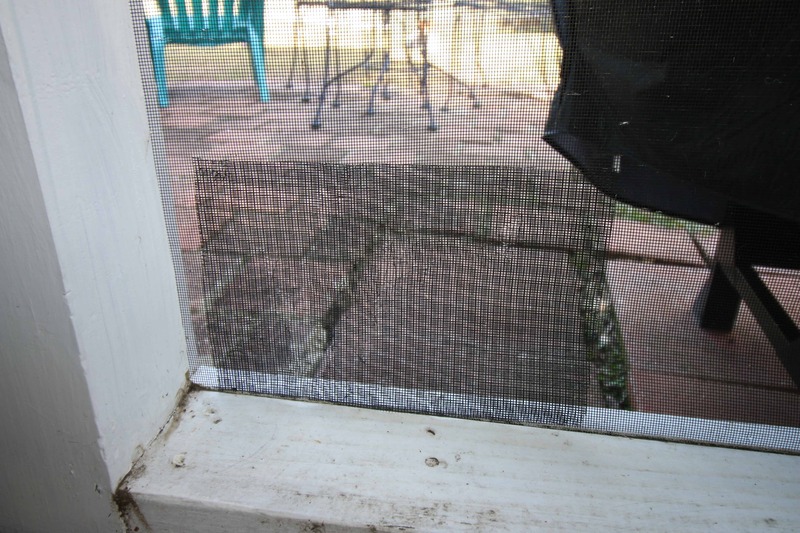 In the past, we’ve shared how to replace an entire section of screen after our dog ripped through it with her claws. 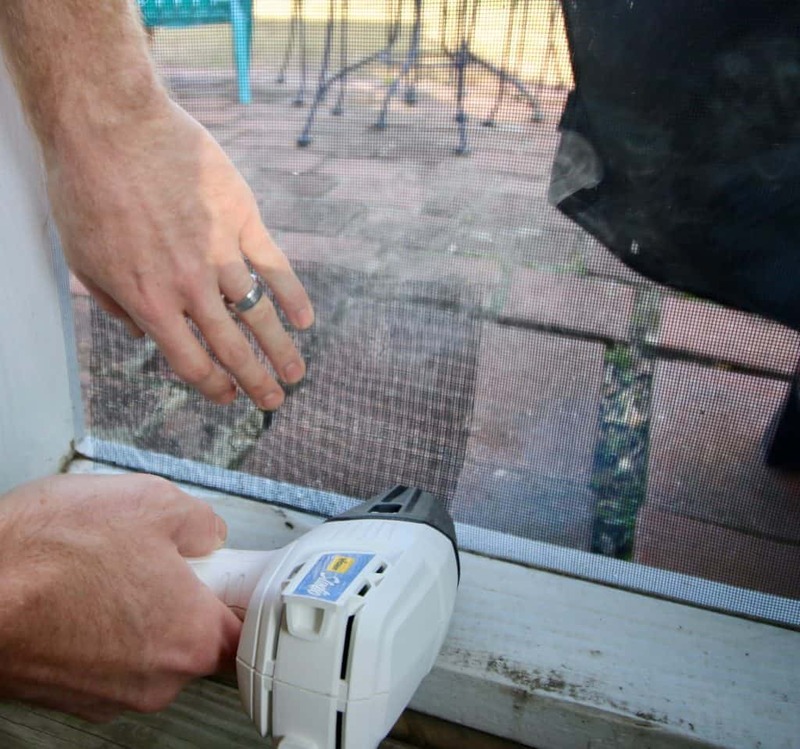 But today, we want to show you how to patch a screen with a heat gun, especially if we’re talking about a minor hole or a screen that’s not easily replaced as a whole section. 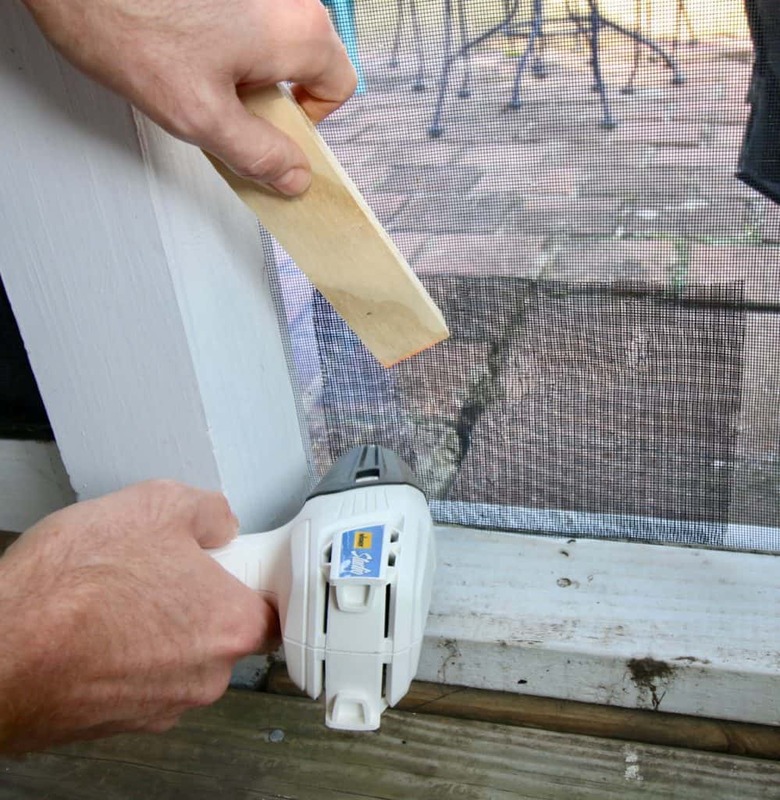 We’ve found some pretty cool ways to use our Wagner Studio Heat Gun, but this might be the most innovative. It turns out that screen melts a little bit, so by adding some heat to it, you can transform its properties. If you’re looking to patch a hole in your screen, it’s as simple as having some extra screen and a heat gun. First cut out a piece of extra screen slightly larger than your hole to serve as your patch. Next, line up your screen patch over they hole, then use a piece of wood or something to hold it in place. Now, take the heat gun and blow it on the patch and slightly melt the screens until they fuse together. This will put off some melted plastic smoke for a few seconds, so make sure you’re upwind or wearing a mask. Work the heat around the edge of the patch and near the hole until it has fused into one piece. It doesn’t look 100% exactly like a new screen, but if you’re repairing a small hole or have a piece of screen that is too big to replace, this is perfect. 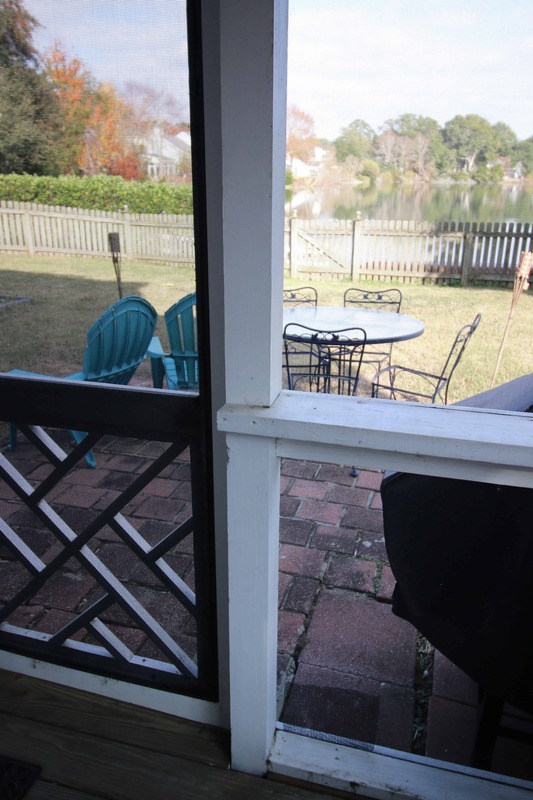 This area is our screened in porch, and the screens are oversized and nailed in behind boards, so it’s not an easy replacement. 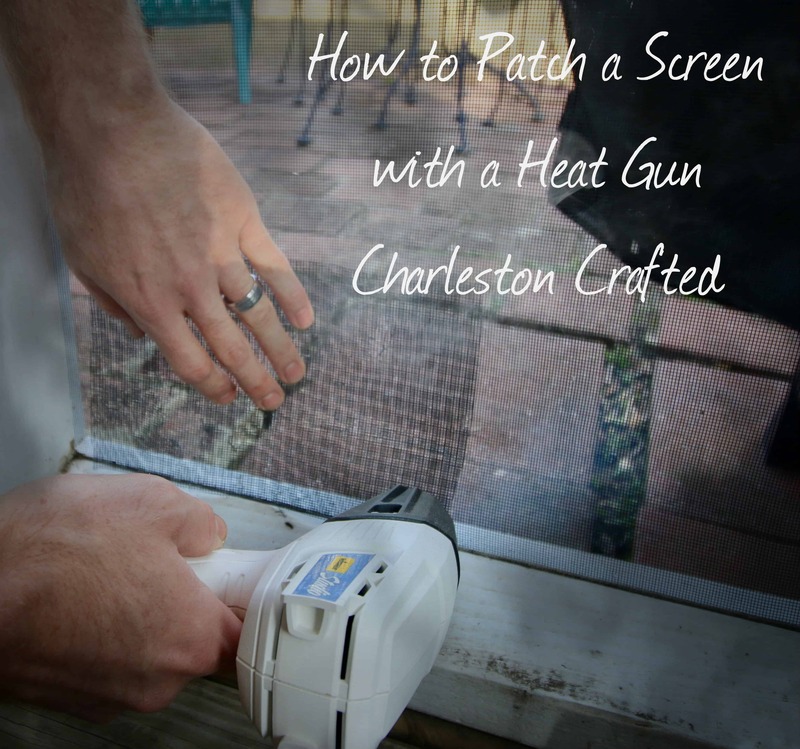 Knowing how to patch a screen with a heat gun made this a whole lot easier for us!